Hey everyone, sorry about the delay but I’m coming back at you with another movie review. 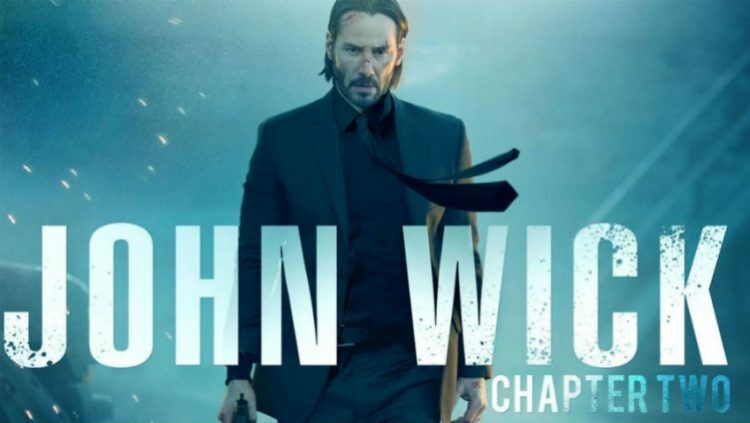 This time we’re talking about John Wick Chapter 2, the follow-up to the explosive 2014 original. I had been interested in seeing the first one but hadn’t gotten around to it until I’d mentioned it one time and my mum, of all people, immediately lent us her copy so that we could watch it (it’s also on Netflix). I loved the first one, so my expectations for the sequel were pretty high. So what did I think of Chapter 2? My reaction? It’s fan-freaking-tastic. I will of course elaborate on that, even though I barely took any notes for it at all. In fact, when I was in the theater I had to remind myself to actually start writing something down so I’d have something to work with after. That’s a testament to the film that I was so engrossed that I forgot about the pen in my hand and the notepad in my lap (I took a few more at Lego Batman, but not by much). There is an idea with sequels that they always need on one-up their predecessor; bigger, louder, explodey…er. And, predictably, this doesn’t always work. I’m a big sucker for action, but I also like when you expand on the story and build the world further as well. A nice balance of the two works best, and I’d say that’s what we got here. There is a lot more to the movie here that was only teased at the first time around. And by more, I mean more to everything. In the first film, John is basically a rage monster out for revenge. While he’s brutally effective at this, in the sequel you see more of the man that made him this legend. You get to see him plan and execute a mission and just how absolute and meticulous he is; you get a glimpse as to why he’s regarded the way he is by the underground assassin society. Speaking of that society, you definitely get an expansion of this as well. It really develops how this culture functions and does it in the best way possible. It is absolutely ‘show and not tell’ and you completely understand how all of this works without big chunks of exposition. I love that we got this deeper look into the intricacies, the details, and the aesthetic that runs parallel and yet removed from our world. In comparison, it does still seem a little bit slower than the last time in parts, but you get the satisfying end to the plot of the first film and a whole new arc that takes us through this one. And look who else is back! As I said in the previous paragraph, there is the idea of making a sequel bigger. I talked about the story already, but the meat and bones of a movie like this is action. And the action was definitely bigger. What I appreciated the most about it was even though there were these big set pieces, the action was still on-the-ground and visceral. It wasn’t superhero action where everything is beyond the realms of reality and prettied up in post. 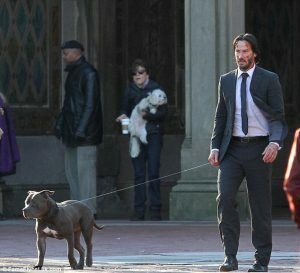 Not saying I don’t like that too, but the action of John Wick (both films) is down-and-dirty realistic action that you can see (or at least sense) is done on-camera as you see it. There isn’t five hundred cuts in every fight switching angles every time until you’re disoriented, this is sleek and choreographed beautifully. Director Chad Stahelski comes from a long background of stunt work, stunt coordination, and choreography and he has such a phenomenal eye for making these sequences gorgeous and individual. Even considering just how many action/fight scenes there are, they never run together or feel like they’re rehashing themselves. Finally, I just want to round out this discussion by quickly talking about the cast. Keanu Reeves once again just brings it as John Wick. There’s such an intensity about him and I really don’t think anyone else could have done with this character what he does. And as anyone who’s seen the video of him training for the role can attest, he’s bringing it in every aspect. 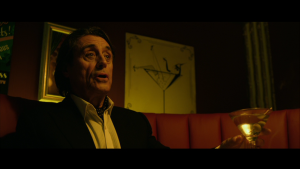 Ian McShane is back again as one of our main threads into the underground assassin culture and I love the mystery around his character. I always get the sense there’s more to him than appears. Riccardo Scamarcio provides an antagonist that is very different from the ones we got in the first movie, and that’s all I’ll say. 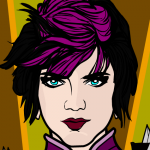 Ruby Rose was actually a big surprise for me. I really liked what they did with her character, it’s something you don’t see often enough in movies and when you do it’s usually a gimmick. Not so here, and it made her character a lot more interesting. She was also completely badass as well. And, even though I’m not really familiar with his work, as the two films I’ve seen him in I don’t really remember him from, I quite enjoyed Common’s character, Cassian. He and John actually share a bit of screen time and one scene in particular is an absolute standout, not just between them but in the overall film itself. The whole cast is really, really solid. So, in conclusion, this movie rocked. About the only negative I could give it, and it isn’t really a negative, is that it does move a bit slower than the first movie. I’ve already highlighted as to why that happens, and that ultimately it gives us a positive even if it means it isn’t quite as relentlessly paced as the first film. Bottom line, if you liked the first movie, you’ll like this one. If you like action movies, you’ll like this one. What else can I say? Go see it, it’s definitely worth your time. This entry was posted in Movies and TV and tagged movie review, movies, reviews. Bookmark the permalink. I loved the first movie and wanted to see this one. I was, of course, fearful, so it’s good to read this review. Thanks!